When the time arrives to paint your home, hiring a professional house painter isn’t just your best option, it really should be your only option. How Can a House Painter Help? Whether you are considering painting your home’s interior or exterior, you need to know that it is a major undertaking. While just about anyone can paint a home, not just anyone can do the job well. The last thing you want to have to deal with is having a home known as the ugly house in the neighborhood because you tried to paint it yourself, and it ended up looking terrible. Something as simple as forgetting to sand your painting surface or failing to apply primer can make a big difference in the way y our paint job looks. And you will always want the best possible paint job for your home. Your home is the place you should feel most comfortable, and part of making it feel that way is ensuring that it looks its best. If you really want your home to look it’s best then you need to hire a painting contractor when the time comes to have your home painted. What Are The Benefits Of Having Your Home Painted? Having your home painted by a painting contractor is one of the most cost-effective things you can do to make a huge impact on how your home looks. When you paint the exterior of your home, even if it’s the same color as before, the new coat of paint will do wonders for how your home is perceived by yourself and others. 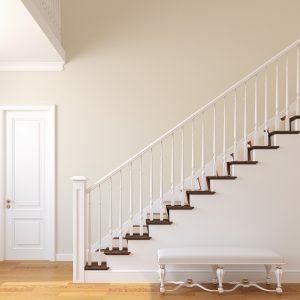 A fresh coat of paint can make a home that is older look fresh and vibrant again, and it can do all of this without costing you a small fortune. When you look at how much labor and supplies are, it is a good thing to find a home remodeling idea that doesn’t involve you digging yourself into debt. There are a lot of home renovation projects that can be quite expensive, fortunately having your home painted is not one of them. When you paint the interior of your home it obviously won’t change much about how other people passing by your home on the street perceive your home, but it can change how you feel in your home quite significantly. So be good to yourself, and be good to your home. Hire a professional house painter today.